Summer time is usually prime time for churches to host retreats. Though it takes a lot of work, it's nice to get away from the regular rhythms of life in order to reorient your congregation to the Lord. But retreats take a lot of planning. Finding a venue. Figuring out rides. Organizing small groups. Creating games. And yes, of course, inviting a pastor to guest-speak for the weekend. I've always found it interesting how churches go about finding a guest-speaker because there really isn't a biblical precedence for it. I mean, the Bible never commands the church to go on retreats nor does it give instructions on how to run one. Therefore, churches will just guess how it's supposed to go, which includes how to treat a guest-speaker. But based on my conversations with seasoned pastors and from personal experience, it seems like some churches don't know how to go about it. So with that being said, here are ten brief things that I think churches should consider when inviting a local church pastor to guest-speak for them. When you contact a pastor from another church to speak at their retreat, you probably think it's a long spiritual process that the pastor goes through before saying yes. That's because the pastor will reply to your email saying, "Let me pray about it." And pray he shall. But there's more to it than that. 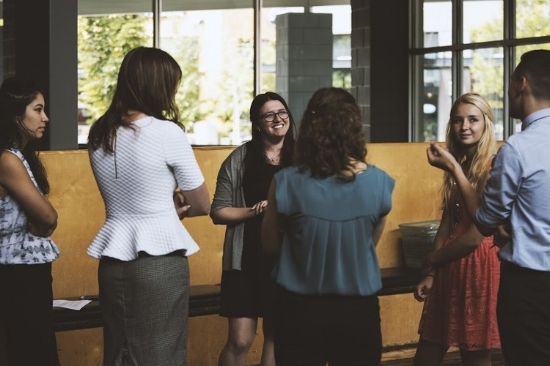 In reality, there are so many factors that go into a guest-speaker saying "yes." Do the dates work? Are they busy at church that month? How will their family feel? Is the retreat topic interesting? But by far the main reason a pastor will choose to guest-speak at a retreat is if they have a personal relationship with someone at your church. There are two ways a church should go about finding a guest-speaker. Either a) choose a theme and find a speaker who would match the topic well or b) find a speaker and choose a theme that would match the speaker well. One of the worst things a church can do is ask a pastor to speak on a topic that he's not really connected to. I mean, I love David Platt, but it's probably not a good idea to invite him to guest-speak on a theme like "Ordinary Christianity." Find a topic that he would thrive in or find somebody else who better fits your topic. But don't just find a good speaker. I'd love to hear Francis Chan speak at a retreat because he’d bring the thunder and wake up my congregation. But I'd probably get tired of this schtick if I heard it every Sunday. Conversely, I think I'd enjoy listening to Ligon Duncan every Sunday. But as a retreat speaker? Probably not. That's because some pastors are more natural "retreat speakers" while others are more "Sunday-by-Sunday" preachers. When picking a guest-speaker, figure out what kind of speaker you'd want. If you want to have one of those two-hour final retreat nights where the guest-speaker emotionally jacks your congregation, you should probably consider if this pastor can really do that. 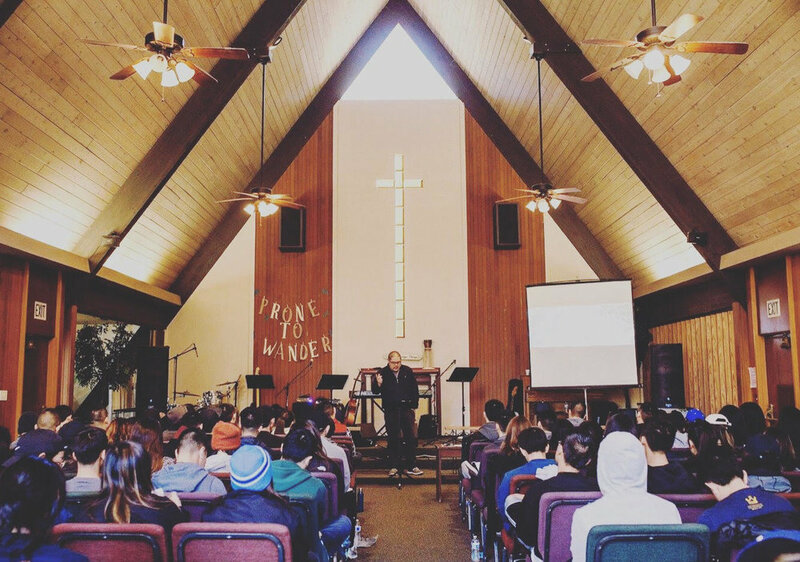 Most pastors don't really like speaking at retreats. I mean, they like it in terms of blessing the church and preaching God's word. But it's always a sacrifice. They're leaving their family for 2-3 days and have to push aside their normal schedule. Plus, preparing 3-4 messages and preaching them over a weekend ain't easy. There can also be a lot of awkward moments at the retreat. For example, after worship when you're walking past the guest-speaker. Do you talk to him? Do you thank him for the message (even if you didn't like it)? Some churches do a great job making it easy, but please remember guest-speakers are often sacrificing a lot to serve your church. Since it isn't easy for pastor to speak at your retreat, it'd be nice if a church could be intentional in the way it welcomes and blesses him. What are some practical ways to do this? I think constant communication before the retreat is always nice. Prepared care packages are always cool too. And of course the honorarium is a great gesture of appreciation. But I think the best thing a church can do for a guest-speaker is talk to him. Don't just walk past him at the end of worship. Talk to him. Thank him for something specific about his message. Ask him questions about it. During meal times, invite him to sit at your table. Ask him about his family, church, and hobbies. When churches don't interact with their guest-speaker, it makes the pastor feel kind of like a prostitute who are simply paid to perform a service. A lot of times people will ask what I'm doing throughout the retreat. I think people presume when they're not preaching, the guest-speakers are praying in their rooms the entire weekend. In reality, guest-speakers are usually sleeping in their cabins or watching something on their ipads. Sometimes they'll be editing their sermons or chatting with your church's pastor or talking to people in the congregation. But for the most part, they're just chilling in their cabins. So feel free to bug them because they ain’t doing much. I'll let you in on a little secret: churches gain a reputation on how they treat their guest speakers. Whenever a church invites me to speak, I'll usually ask other pastors if they've ever spoken at that church before. If he tells me it was a really weird experience and they treated him poorly, I'll probably decline the invitation. And other pastors will contact me about churches they’ve been asked to speak at. As a result, churches gain a reputation. Again, pastors do this because it's not easy to sacrifice a weekend to speak somewhere. So if they know it's going to be a horrible weekend, the chances are high that they'll say no. And if your church gains a reputation, then it won't be easy getting a guest-speaker. One of my favorite questions to ask other pastors is, "What were some weird retreat speaking experience?" I've heard some interesting stuff. One pastor told me that the church he guest-spoke at asked him if he could make them lunch while they played with their kids at the beach. Another pastor told me he went up to a retreat site only to find out that they didn't have lodging but would be sleeping in their cars for the weekend. And a lot pastors have told me about really weird praise leader experiences. Just know guest-speakers play it cool during the retreat, but we remember those moments forever. I truly believe it's healthy to invite guest-speaker to preach for them on a regular basis. Nothing makes your church more narrow, imbalanced, and even jaded than when you only have your church pastors speaking biblical truth to your congregation. While God's Word is always the same, you can often get tired of hearing it from your pastor's voice. That's why it's nice to listen to pastors from other churches preach the same truth in a fresh and dynamic way. It also reminds you that God's kingdom is at work beyond your particular congregation. But perhaps most importantly, it creates the type of partnership between local churches that I think God would want to see amongst His people.